Well here are the statics for 2007. Some serious mileage. I did a nice 6.5 mile run today was nice to get out and begin the new year. 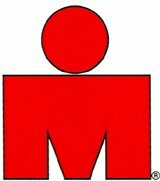 I am training for the Boston Marathon following a 16 week schedule. I will keep my fans updated as I begin my trek towards Boston. Have a happy and healthy new year.